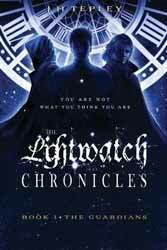 The Lightwatch Chronicles (2018. 216 pages) is a new young adult novel from first time novelist, J. H Tepley, who has previously published self-help books. The book is constructed as a narrative which incorporates Tepley’s personal form of self-mastery, which she terms ARYIA. According to the PR blurb she has spent the last nineteen years, travelling the world training and researching mind empowering techniques of the east and west. Well those intentions are laudable, but the question is Tepley a good novelist. I’m afraid the answer is not yet. The book is touted as a cross between The Lord of the Rings and Star Wars, big boots to fill and it condemns the book to match neither of these to the detriment of what it is trying to do. There are a number pieces of advice that can be given to improve other books in the series. Spend time on the characters, empathy is important for the reader to care about what happens to the protagonists, it’s not enough for them to just go from one place to the next or engage in fighting for the target audience to care about what happens to them. If you have something to say, use plain language, the book is full of words which sound like the author has swallowed a thesaurus and on more than one occasion the context is completely wrong for their usage. Lastly, get someone to read through the manuscript and challenge any sentences which seem to make no sense, of which there were more than a few. Now, the last one may not be the author's fault, as some of the sentences would have made more sense with the inclusion of a single word, which may have been missing from the original manuscript or may have been an issue with a proof reader. Likewise, think about how your book will stand out in a shop. For some inexplicable reason the cover has so stylised the world ‘Lightwatch’ as to make it unreadable. The intention of the book is good, but the execution needs working on. The author could do worse than pick up a copy of Jeff Vandermeer’s Wonderbook: The Illustrated Guide to Creating Imaginative Fiction (2013) and the seminal The Hero with a Thousand Faces (1948) by Joseph Campbell. I wish her well with the next novel in the series.